I love, love, love my hair and I spend some good money on it. I don’t mind investing in good hair products, but I don’t always like what I’ve bought. In this case I’m not very impressed with the Garnier Whole blends Gentle detangling hair milk oat delicacy. Yup, that is the name. I guess it couldn’t be any longer, haha! Back to the product, because I was pretty surprised by all the good reviews I’ve read online. Mainly because I’m not a fan, so let’s see why I don’t like this product. Product: Gentle detangling hair milk oat delicacy. 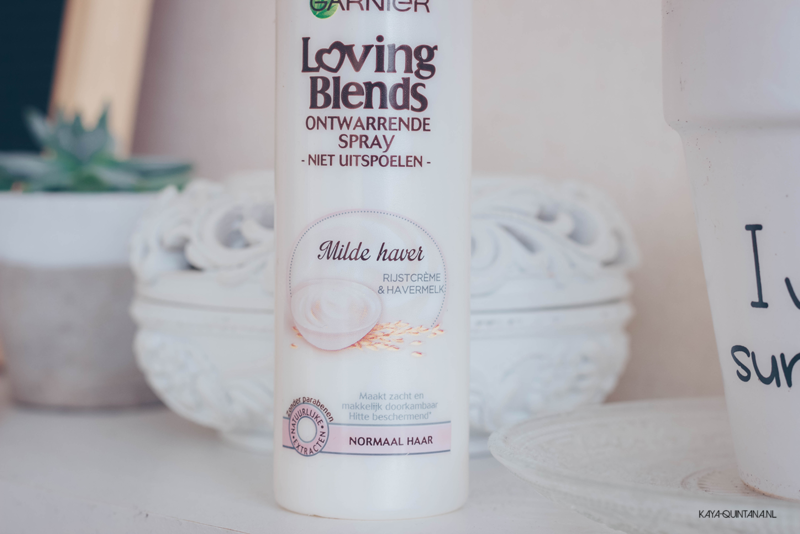 Brand: Garnier, the Whole blends collections or the Loving blends collection in Holland. 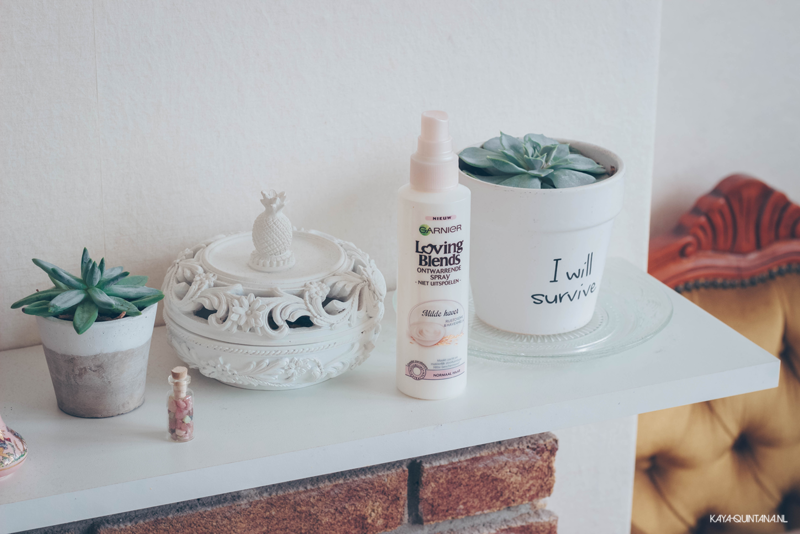 Promises: ‘Our gentle formula blooms with the powdery-soft fragrance of Oat Milk & Rice Cream, bringing to life our wholesome, nourishing care for weightless hair,’ according to the Garnier website. Price: €5,99 at AH.nl or Bol.com and $6,29 at Walgreens. 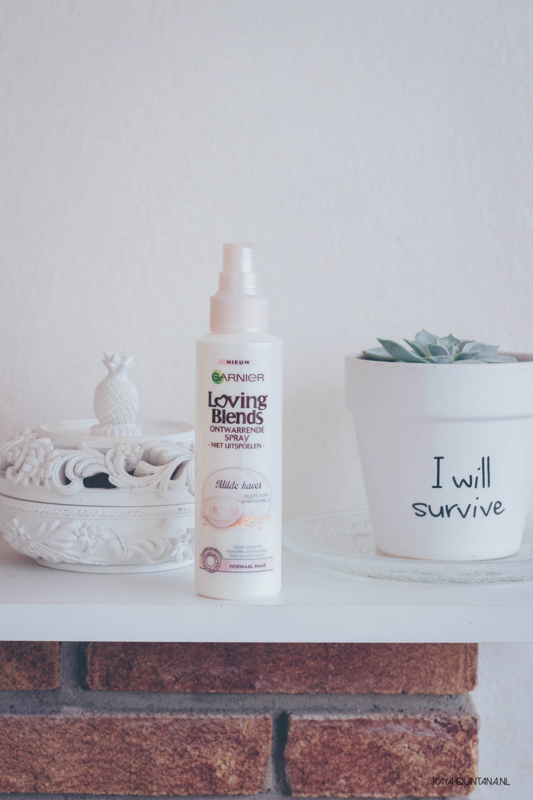 It’s an affordable detangle spray and you can get it at almost any drugstore. I like that it comes in a spray, because you have to use it on damp hair. Whenever you have to apply a product like this with your hands, it can quite messy if your hair is wet. The spray cap is definitely a good thing, but the product doesn’t always come out that well. 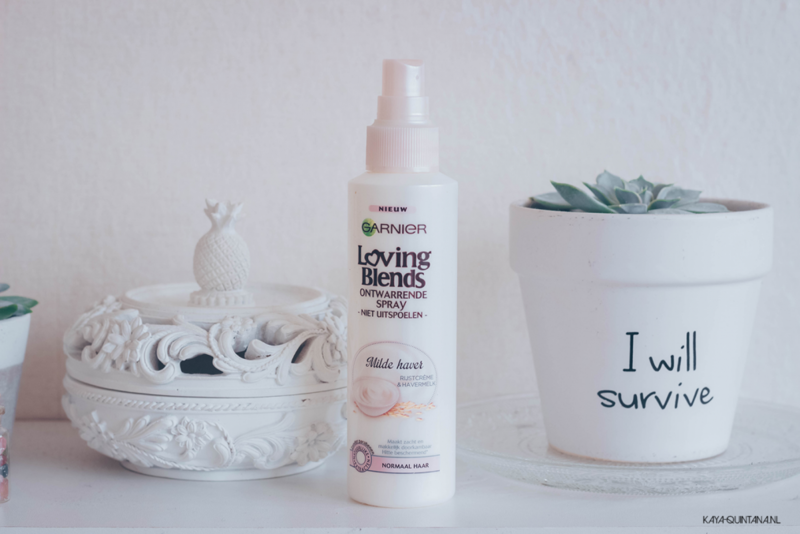 Another thing I really like is the texture of the Garnier Whole Blends Gentle detangling hair milk. It’s milky like the brand promises and therefor it seems to adhere to my hair better. I know exactly where I’ve sprayed the product, because the white milky color shows up on my dark hair. This makes it easy to see if I need more product in certain places. 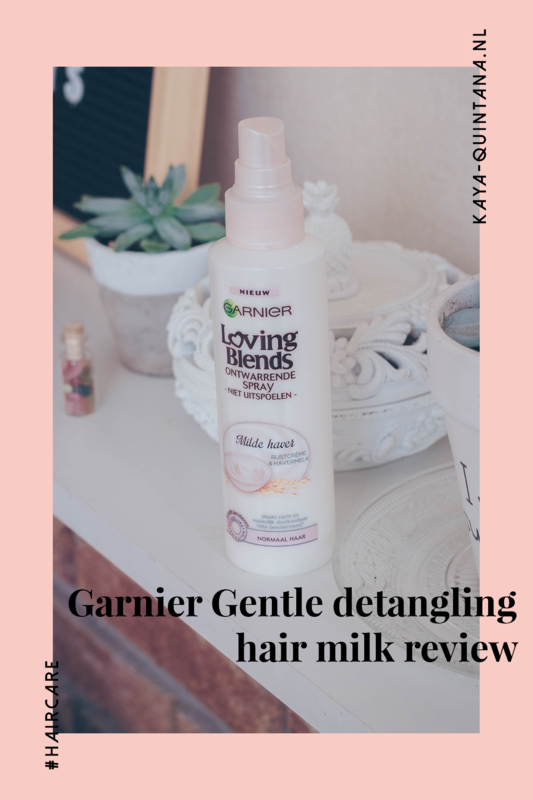 Although the Garnier Whole Blends Gentle detangling hair milk has a milky structure, it’s not sticky at all. Neither does it way down my hair or leave residue on my straightener like Biosilk does. Texture wise this product is amazing. Let’s start with the scent, I really dislike it. It smells soft and sweet at first, but quickly turns into a ‘wet moldy cardboard’ smell. 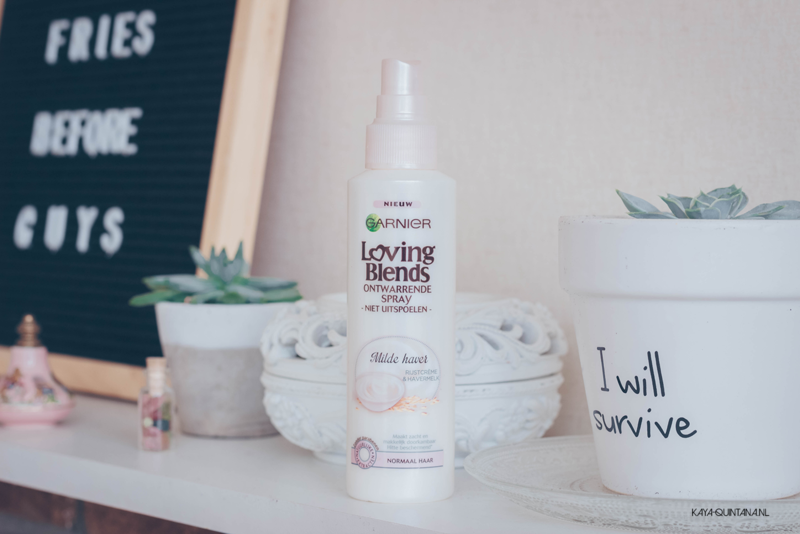 I don’t feel like my hair smells nice after using the Garnier Whole Blends Gentle detangling hair milk. The second thing I don’t like, is that it just doesn’t do much for my hair. It doesn’t make it easier to brush or in other words, I’ve had much better detangle sprays than this one. 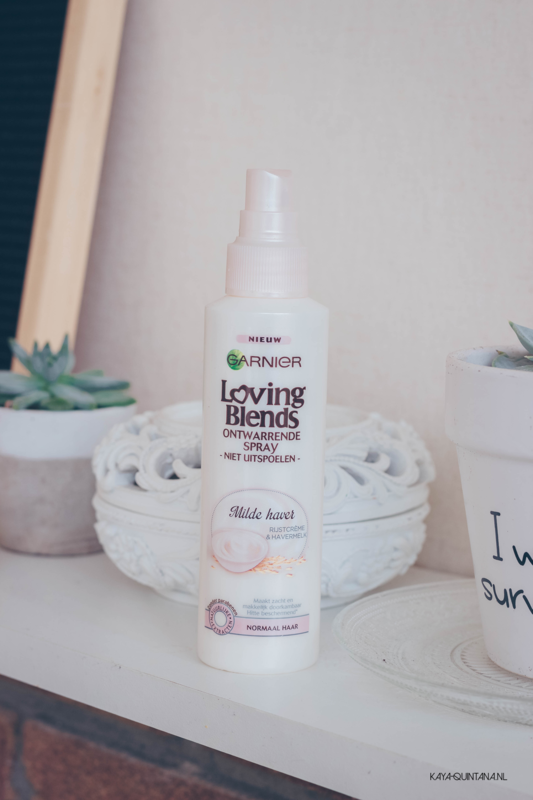 It also says it’s supposed to make your hair softer, but I don’t feel much difference after using this spray. I played around with applying more and less, but the results don’t change much. The spray just doesn’t help detangle my hair any better. To be honest, it doesn’t make it easier to brush either. What disappointed me the most, is that it doesn’t seem to moisturize my hair. According to Garnier it’s supposed to lightly condition and soften your hair. But I don’t see that happening for my hair, sigh… And although this product wasn’t made to help your hair look shinier, I wish it did. I guess I at least expected a soft sheen because of the conditioning ingredients. One would think that would be a benefit from using this product. This is a big NO from me and that’s quite unique. This detangle spray just doesn’t make it easier to brush out my hair. Neither does it make it feel much softer of hydrated. Maybe it’s because my hair is really thick, long and already in good condition. 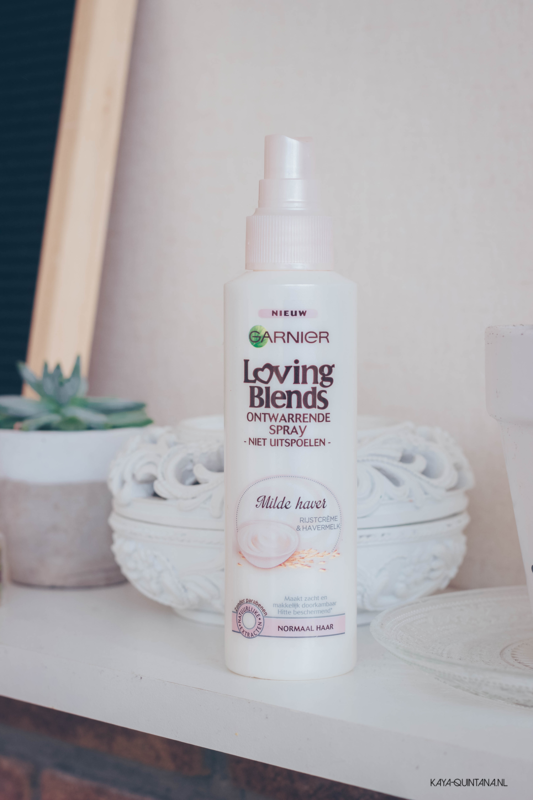 I don’t know why the Garnier Whole Blends Gentle detangling hair milk doesn’t work for me, but after finishing this bottle I’m not willing to try again. I am however very curious to hear if this detangle spray worked for you and what type of hair you have. Let me know, would you buy this spray or repurchase it? P.S. Follow me on Instagram for more hair care tips and reviews. Did you like this article? Great, you can buy me a drink to support my work. Thanks in advance!